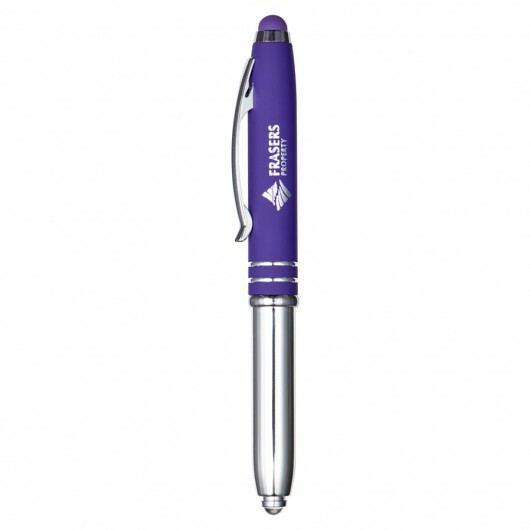 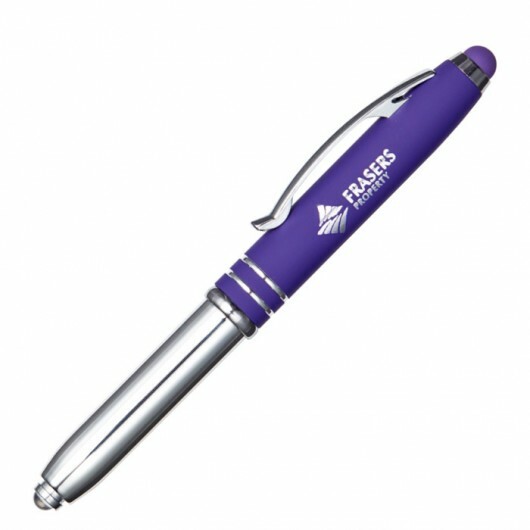 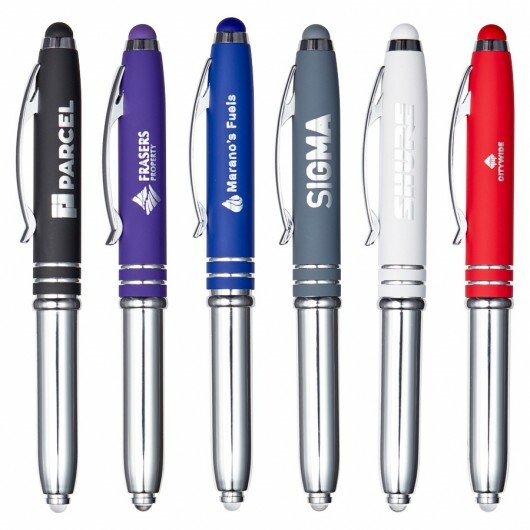 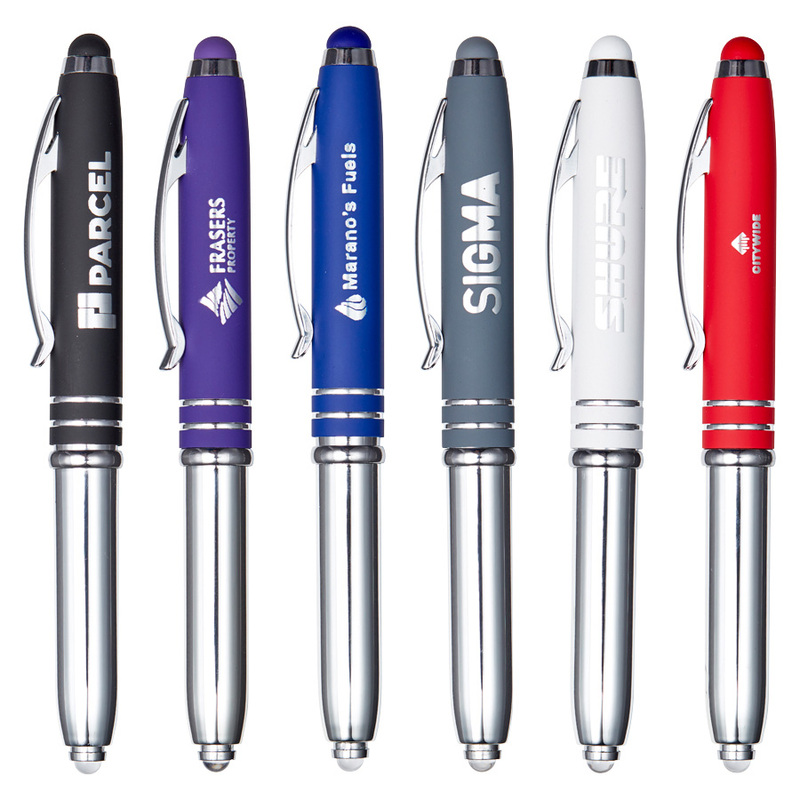 With a rubberised finish and reversible pen light these metal promotional pens are a great choice! Practical and attractive, these black ink pens also function as a reversible light. The base separates from the pen and can be reversed to expose a push on LED light or ballpoint pen. 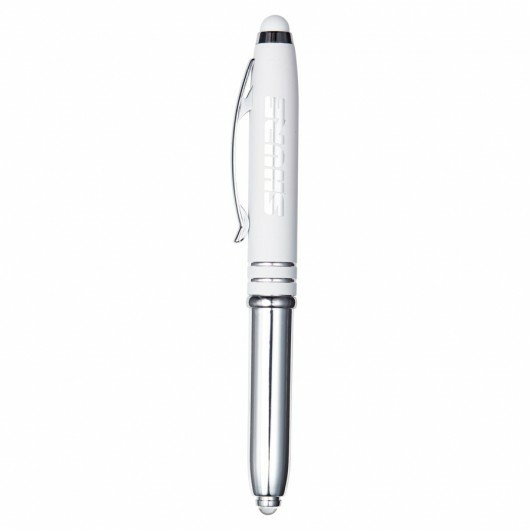 The clip portion of the pen is covered in a rubberised finish and utilises a matching stylus tip. 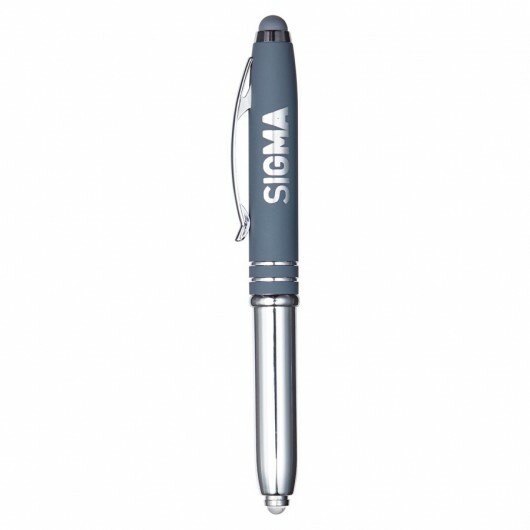 They engrave to a brilliant mirror finish and are express produced as standard!